lighting Michael Hulls • costumes Mary Katrantzou. 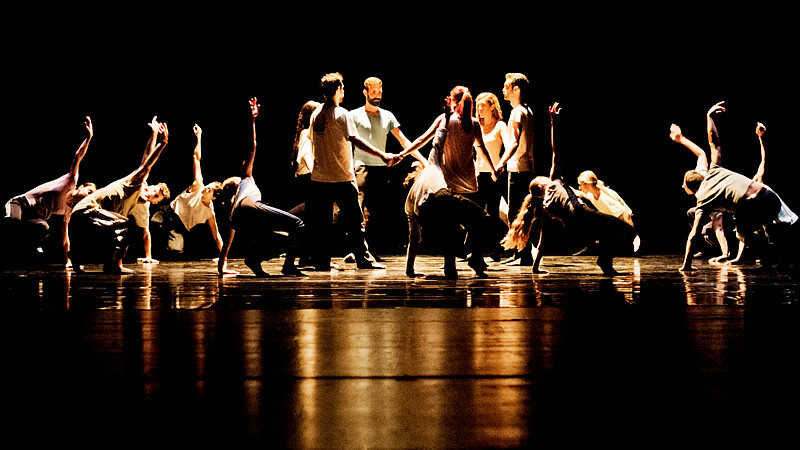 This world premiere collaboration between Sadler's Wells choreographer Russell Maliphant and composer Vangelis takes its main cues from Greek culture. So watching it often feels like some sort of cultural presentation, with dancers in baggy costumes moving around the stage taking tiny steps, often holding hands in a line or shoulder-to-shoulder. 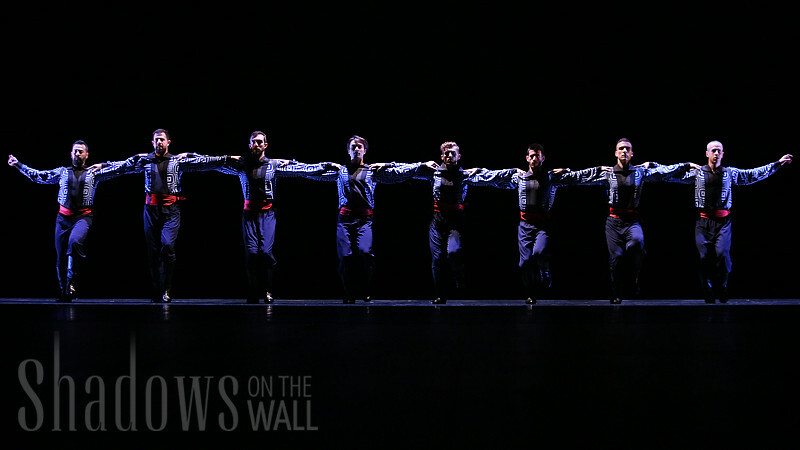 It's beautifully staged in squares of light around the stage, and expertly performed by a team of Greek dancers. But it isn't always terribly compelling. Thankfully they occasionally break out into passionate segments, sometimes solo pieces, duets or group numbers in which they stomp and express some punchy emotions. 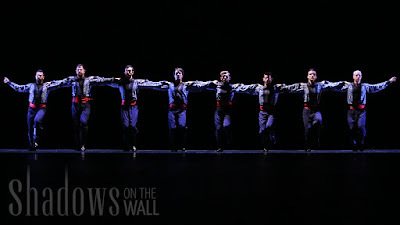 There are also moments in which the rather tight choreography suddenly expands into full-bodied physicality, which is utterly riveting as they perform in various forms of queues moving across and around the stage. The title refers to the thread that ties humanity together regardless of culture, the connections people feel to each other regardless of their background. The show taps into this in ways that are both individualistic and corporate. Even as it continually reverts to more typical Greek movements, there are continual flurries of internationalism that connect each piece of the performance. Although the costumes remain so floaty that basically we can't see the dancers' bodies from the shoulders down, they create a clever mix of the folkloric and athletic. And what makes the show worth seeing is the way the choreography, music, performance and lighting combine to make it almost sculptural. The shapes on the stage are simply breathtaking, especially as they emerge from the shadows and cross over into the spotlights. So even if the presentation lacks a deeper visceral connection, it's a vividly engaging exploration of global connections.